curiosity through EDUCATION. Let America On Wheels be your vehicle for LEARNING. if possible. 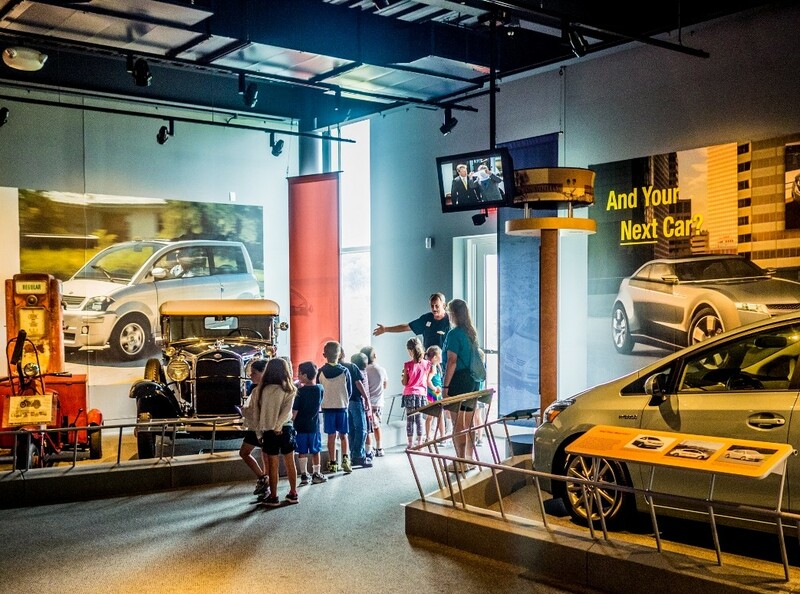 The Museum provides tour guides during your visit (upon request). Students: $6.00 per student for admission (self-guided visit and/or tour guides upon request). (Cost is subject to change periodically). CHAPERONES: One chaperone per 10 students will be admitted FREE to assist with supervision. The BUS DRIVER is FREE. Just let the Admission Attendant know. PARKING: We provide complimentary parking for school buses and vans. The museum is handicap accessible. 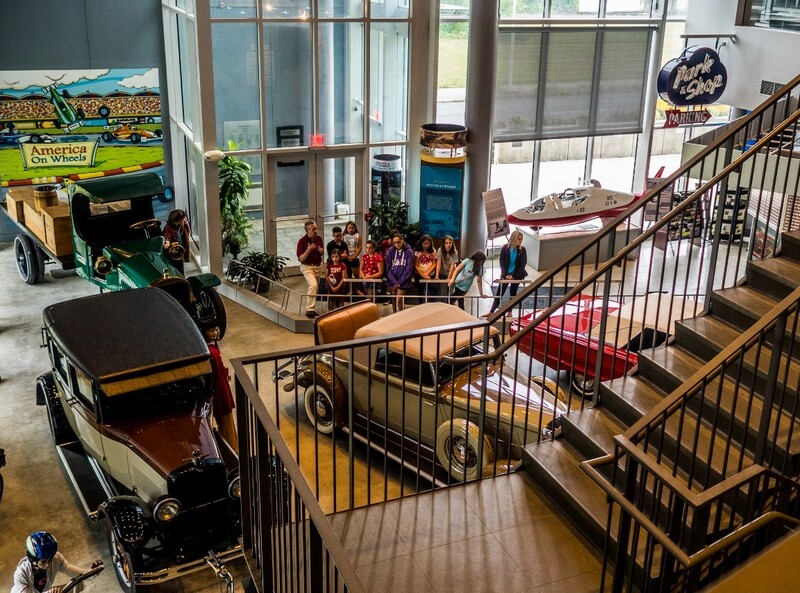 FOOD: The Museum has a location on the 2nd floor called the HubCap Café’. Group reservations are required for your field trip. The Café’ is open at different times during the year, so please ask about it when you call. Students can bring a brown bag lunch or order Pizza through the Museum. If the Café’ is open hot dogs and ice cream/beverages are available. 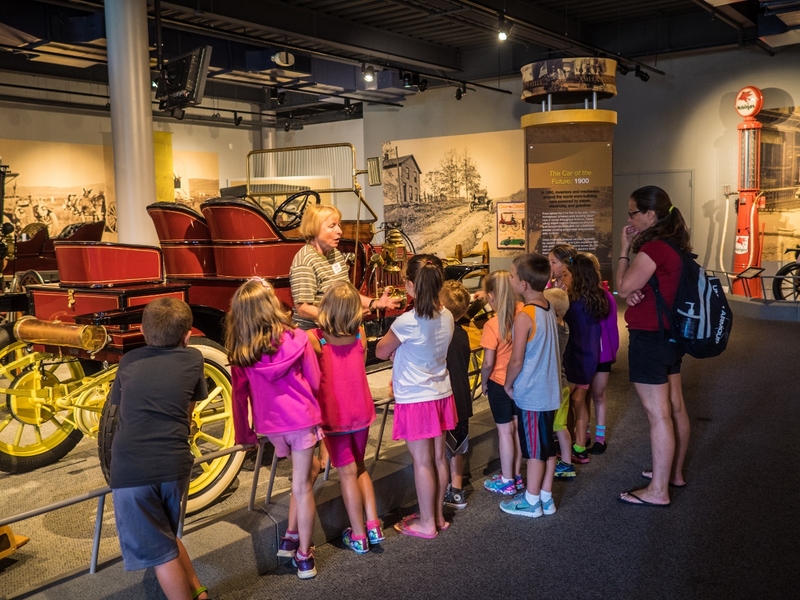 SCHOOL PROGRAMS: Explore the Museum at your own pace. We always have age-appropriate activities available upon request. Please know that groups typically need a minimum of two (2) hours to view all the cars, trucks, motorcycles and bicycles. Feel free to bring a camera and share a photo of your visit with others. CONTACT: Education Department – director@americaonwheels.org or call 610.432.4200 x 11. Feel free to leave a message and we respond promptly.